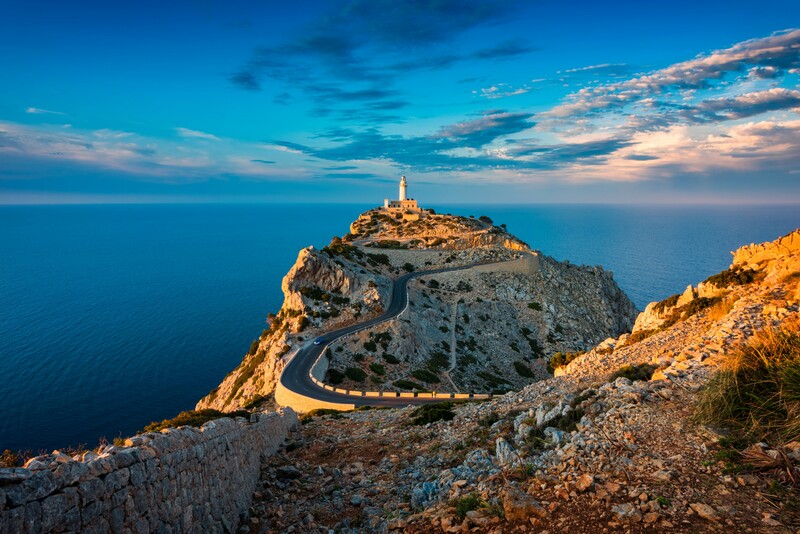 The westernmost islands of the Mediterranean, the Balearics lure guests with a unique combination of rustic beauty, glamour, vibrant nightlife and secluded bays. Their attractiveness arises from impeccable weather conditions which prolong the charter season and from contrasts between the islands: Minorca and the tiny Cabrera are original and wild, while Mallorca, Ibiza and Formentera have enjoyed fame as the Europe’s grand holiday islands for years. This charming Mediterranean slice of paradise welcomes guests with warm sparkling waters, palm-lined beaches, remote anchorages, balmy breezes and clear night skies and a promise of nonpareil summer adventure. Let Sunreef Yachts Charter take you on a magnificent journey to this picturesque and awe-inspiring land. 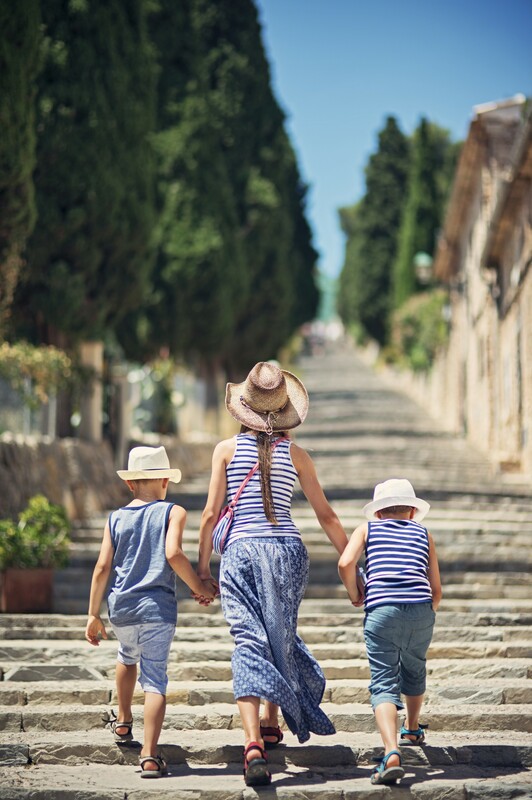 Start your adventure in Palma, the capital of Mallorca offering direct and connecting flights to many worldwide destinations. Once you get there, spare some time to visit La Seu, a majestic Gothic cathedral built over a mosque. The Old City in Palma is a great maze of colourful facades and paved streets dating back to the Arab era. 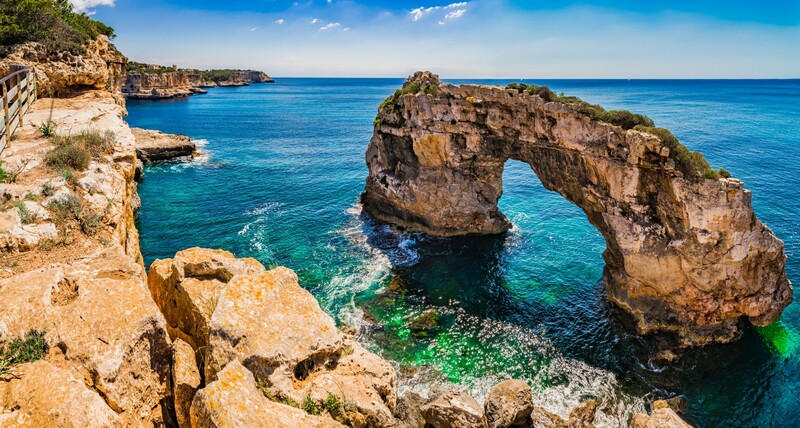 Head over to the four Cuevas del Drach (Dragon Caves) on the island’s eastern shores where each visit ends with a short classical performance by four musicians on a boat. 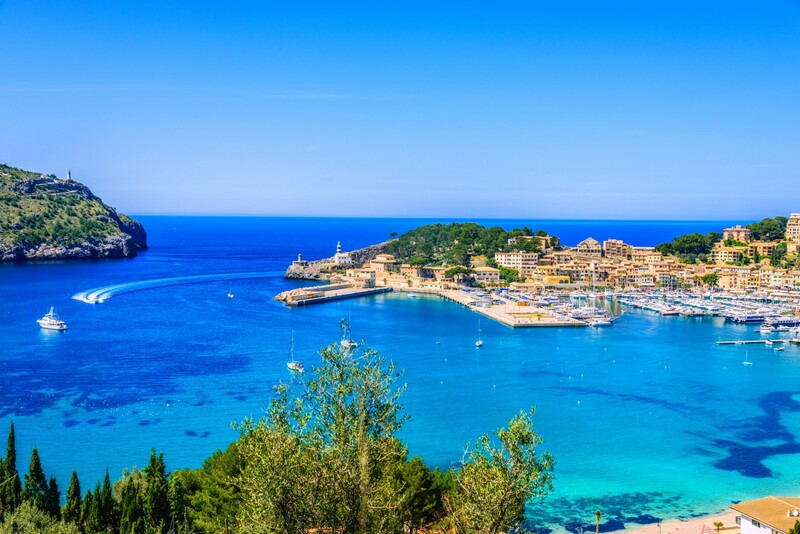 One of the prettiest harbours in Mallorca, Port d’Andratx rests immaculate with fairly little tourist activity so you will enjoy a serene day in privacy while snorkelling, diving, fishing or bathing in splendid entourage. The narrow bay offers anchorage for your yacht as you continue to explore this wonderful destination. Easily accessible from Port d’Andratx is Cabo de Sa Mola with a magnificent lighthouse towering over plush plunging bluffs. 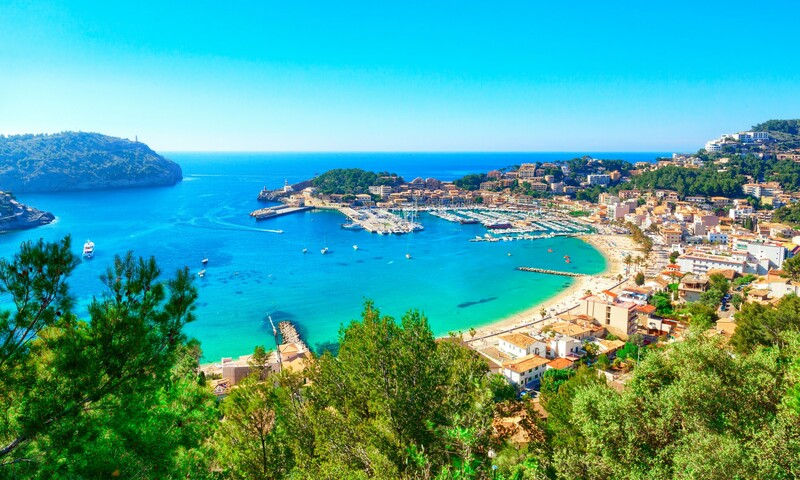 Located on Mallorca’s north-western coast, Soller is a picture-perfect horseshoe shaped bay offering sheltered anchorage. This water-front resort houses boutiques, bars and restaurants as well as some luxury hotels. Climb up one of the two lighthouses in the village for panoramic views of the area or take the historic tramway from the port going 5 kilometres inland to reach Soller where you will visit the Constitution Plaza rimmed with cafes, plush verdant plane trees and a fountain, as well as marvel at the town’s 14th century buildings mixed with modernist architecture. The enchanting town of Pollenca will leave you amazed at the many narrow and compact streets lined with medieval constructions leading up to the Placa Major, a bustling town square with a number of outdoor cafes and towered by a an impressive 13th century church constructed by the Knights Templar. Your day in Pollenca will be an enthralling adventure as the town is lined with a number of beaches quaintly nestled in the azure bay. And in the evening, visit one of the nightclubs and bars for plenty of local entertainment in this enchanting haven protected by imposing rocky mountains and a tranquil bay. Located in the north-eastern point of Mallorca, this small village is known for its scenic rocky coastline, fine white sandy beaches and turquoise seas. An old fishing port, Cala Ratjada retains a deep-rooted charm, with numerous fishing boats, including the traditional Mallorcan llaüt, and a beautiful promenade stretching from Playa Son Moll to Cala Gat. There is a lighthouse a short walk away from the beach which offers some fantastic views over to Menorca. Another Mallorcan fishing port, Cala Figuera will enchant you with a view of white washed houses stretching down to the water’s edge and fishermen sitting on the quayside fixing their nets. The sheltered port area caters for a small number of visiting yachts which makes Cala Figuera a perfect spot for a relaxing day in a private atmosphere. Arrive early in the morning, you can often buy some of the catch of the day. Palma has plenty of things to do to keep you entertained for a week so there are no shortages of places to explore on your final night. Explore the winding cobbled streets of Palma’s old town and lose yourself in the alleyways where you will find numerous tapas bars, restaurants and cafes hidden in the back streets. 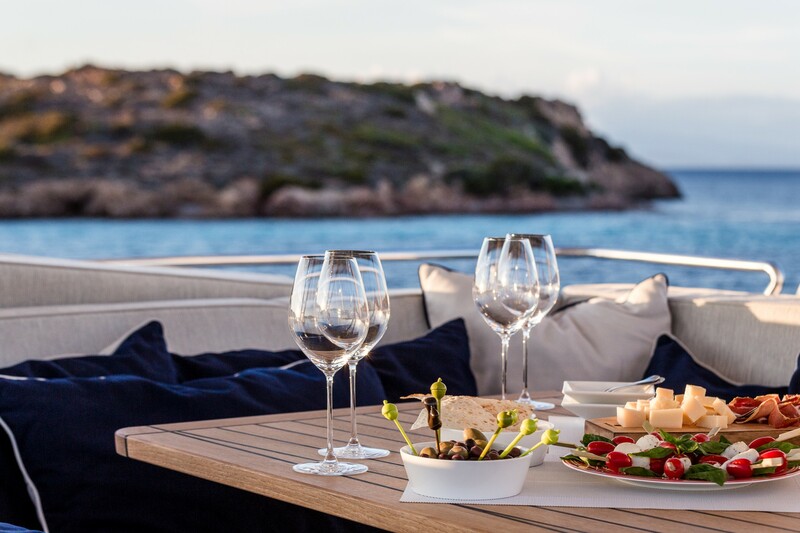 This entry was posted in Balearics, Destinations, Europe by sunreef yachts charter. Bookmark the permalink.